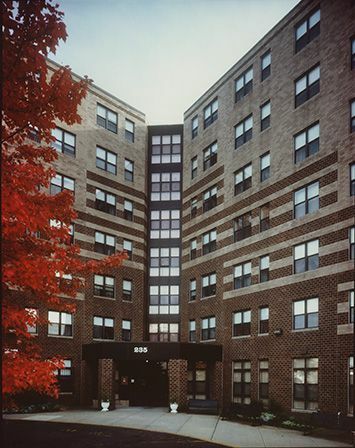 Located near historic Revere Beach in Revere, Massachusetts, and surrounded by architectural grandeur, Friendly Garden Co-op is a 7-story, 107 unit senior community designed for resident members aged 62+. In addition, there are a limited number of mobility impaired units available to those who qualify over the age of 18. Friendly Garden Co-op is nationally recognized as “A Community of Quality” by the National Affordable Housing Association. The property was completed in 1985. Friendly Garden Co-op Apartments has come to be a healthier and safer environment to live in by becoming 100% smoke free. Smoking is not allowed within the individual apartments, the common areas, and within 25 feet of the building. Members in this community enjoy participating in many activities, including bingo, card games and organized shopping excursions just to name a few. Friendly Garden Co-op is surrounded by restaurants, various grocery stores, shopping malls and flower shops; you can never run out of things to do! Resident members also enjoy bus stops just steps away from their front door and across the street. Friendly Garden Co-op is affordable for everyone. Every unit has subsidy and resident members pay only 30% of their income for rent.